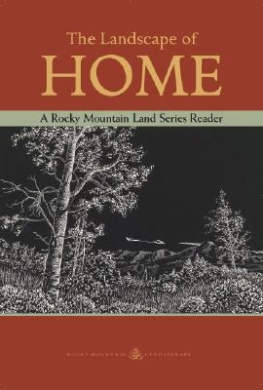 In 2001, the Rocky Mountain Land Library (in partnership with the Tattered Cover Book Store) established an author series focused on the land and communities of the American West. We have hosted over 400 authors since that time, including writers such as Barry Lopez, Bill McKibben, Lester Brown, Stewart Udall, and John & Teresa Kerry, to name a few. All Land Series authors speak on a diverse set of topics, but all share a focus on people and the land. Please join us! For more information on upcoming events, visit the Tattered Cover Book Store’s Event Page. Hello, here is a link to a recent review of the book Gone West. The book contains 41 black and white photographs taken by Alan Berner, photojournalist for the Seattle Times, and 40 poems by Walter Bargen, (that’s me writing this) and an introduction recounting some my crazy youthful adventures in the West. The book is an attempt at a revisioning of the West in contrast to the romanticized version that especially exists in Germany where the book was published. I will be reading in Steamboat Springs, CO, in late April but more likely sometime in May, 2016. The date has not been set yet. I was wandering, if you would be interested in my giving a reading and/or conducting a writing workshop on a day close to the Steamboat reading. Thanks so much Walter — it’s really great for us to know about your book! I wish we could partner-up on your May 2016 trip, but the ranch will still be in the midst of renovation!